Four colors to choose from for fruit infusion goodness. 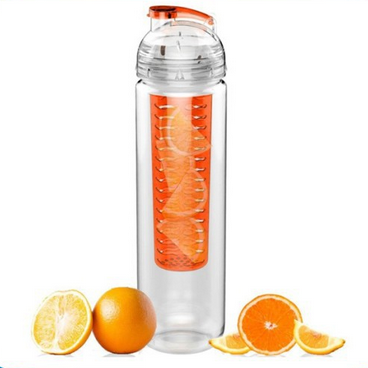 We have the clear and orange infuser water bottle. I picked this color out for my daughter who loves orange. We drink lots of fruit infused water in our home and mix it up quite a bit. Our favorite right now would be tea infused with apple and cinnamon. Some of our summertime favorites are , strawberry infused water, orange and pineapple, lemon and blueberry, the combinations are endless. 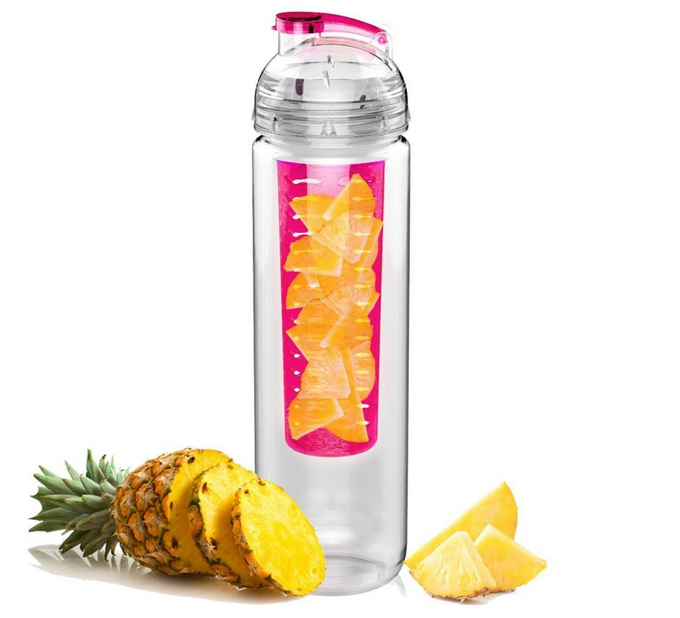 This fruit infuser water is easy to use, clean, and store. 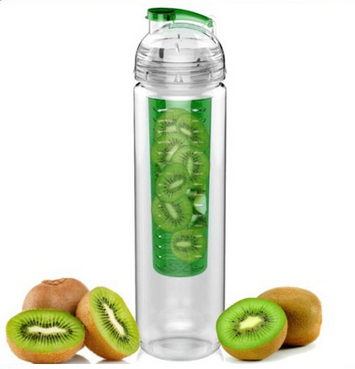 You can find this Fruit Infuser Sports Water Bottle on Amazon. What Fruitissimo has to say about their product. We are delighted to introduce our Fruitissimo water bottles to anyone who needs to hydrate themselves all through the day, but gets a little bored by plain old water. We have a secure basket to add your cut up fruit to, give it a shake and drink your home made vitamin infused water all day. 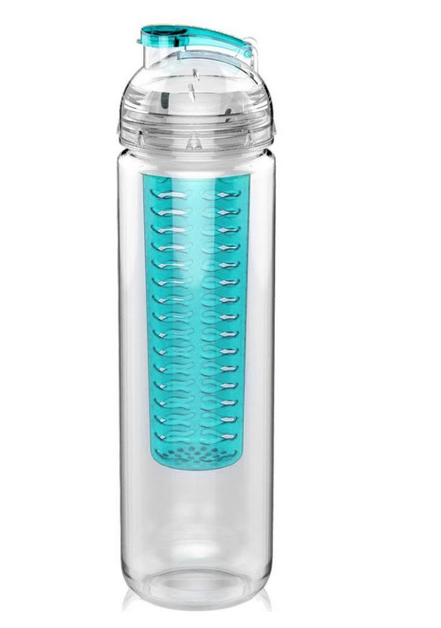 Many people are selling similar bottles but we have taken care to make sure our bottles do not leak, and the flip top can be used with one hand drinking. Increase your water intake by making it taste good naturally! 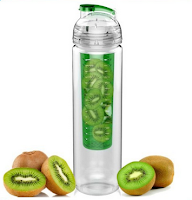 Fruit infuser makes plain old water flavorful and easy to drink! Use frozen fruit instead of ice to keep your water cold all day while constantly infusing the vitamins out of the water. Deeper fruit basket gives you longest lasting flavor. Other bottles have short fruit baskets so when you get to the bottom of the bottle, the water is no longer infused. 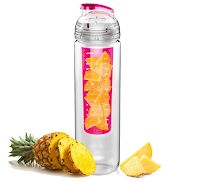 Remove the fruit basket if you want just a great sports water bottle that will never break. The BPA free Tritan Plastic is safe for you, safe for the environment, and recyclable. Comes with a FREE BONUS of our favorite, collected Infusion Recipes. Recipes include infusions for weight loss, detoxing, stress reduction, strengthening immune system, and increasing metabolism. Disclosure: MarksvilleandMe received one or more of the products mentioned above as part of a promotion with Tomoson and Fruitissimo. Regardless, MarksvilleandMe only recommends products or services we use personally and believe will be good for our readers. Some of the links in the article may be “affiliate links.” This means if you click on the link and purchase the item, I will receive compensation. If you would like MarksvilleandMe to review a product or service please contact us at marksvilleandme@gmail.com.